This past year we have been helping clients and start ups with video production and video editing. Here is one video introducing a great sports training device, Vector, a training baseball that lights up when you strike the ball, training your eyes to stay focused on the ball and improving your game. When it comes to your business, marketing isn't optional. Marketing is an investment, not an expense. It's "a must-have strategic tool to INCREASE SALES, not a nice-to-have frill when you can afford it." -- Sergio Zyman, The End of Marketing As We Know It. "Most clients look for sales, not awards." -- George Lois, What's the Big Idea? 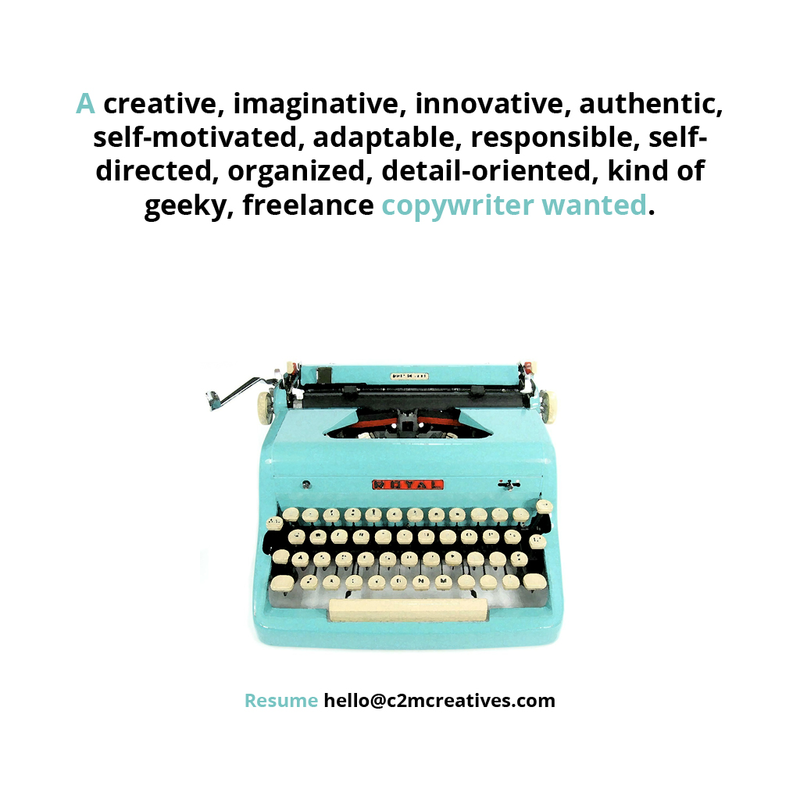 We're growing our team of collaborators and currently seeking a creative copywriter to work in partnership with c2m's Creative Director, Carmen Cardoza, to collaborate on marketing and advertising campaigns for a diverse portfolio of clients from fashion and health, to construction and residential painting, to workplace training and mechanical engineering. Ability to produce innovative and original ideas. Proofreading skills and an eye for detail. An interest in commerce, popular culture and new advertising trends and techniques. Excellent self motivation, adaptability and the ability to meet deadlines. Great team-working, internal communications and organizational skills. Of course, accuracy is a must, in grammar and content, as all adverts must not be misleading. IT proficiency, as we will be conducting a lot of business via Internet and devices, and we will be helping many clients with their Internet marketing needs. SEO, SMM, and Content Marketing proficiency. 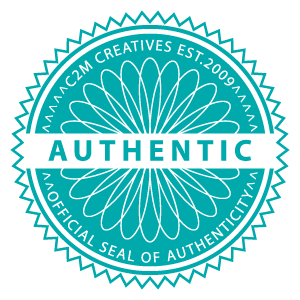 c2m Creatives is a boutique marketing communications design + strategizing studio in Florida, serving clients from Orlando to New York to San Francisco and beyond. We're a collaboration of creatives including graphic designers, copywriters, web developers, and marketing strategists. A collaboration with a holistic approach; we aim to provide clients with high quality, high impact, and results driven services at an accessible, flexible and personalized scale. Logo designs are so interesting. It's incredible how much thought, consideration and creativity such a small piece of artwork demands. It's a challenge I quite enjoy, and I still get goosebumps when a client falls in love with their new logo. Here is a logo design we created recently that is loved, approved and ready to work for a locally based international realty group. Company Description: C J St. Louis International Realty is a customer-centric full service real estate company, aiming to provide memorable service in all areas of real estate services. Colors: Neutrals with a pop of color. Off white, grey, pewter, taupe black, orange, some shades of yellow, navy/royal blue. In our last post we shared a recipe for content marketing success. Whether your business is emerging, small, growing or established, developing a solid content marketing campaign should be on the top of your agenda in 2014. If you didn’t get our recipe and aren’t so sure what content marketing is, exactly, or how to do it—start here. There’s nothing more desperate or shameful than copying someone else’s great idea. In all of your content marketing, be original and authentic. Keep in mind that search engines don’t index copied content, and you’re not doing yourself any favors by cutting corners through spinning some other company’s article or blog for use on your own website. 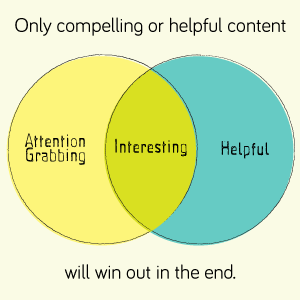 Your content should be either helpful or attention-grabbing (preferably both) and not a drag to read, watch or look at. With a powerhouse of information and choices available on the Internet, only compelling or helpful content will win out in the end. If you’re at a loss for an informative, helpful angle, don’t be afraid to be funny, random, quirky, or different in order to attract an audience; this helps keep things interesting. 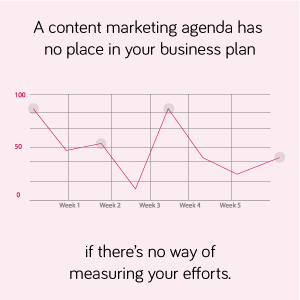 A content marketing agenda has no place in your business plan if there’s no way of measuring your efforts. Institute a way to track site visits, analytics and customer engagement—either through open source software (on avenues like Facebook and Google Analytics) or through developing your own method of gauging customer interaction and retention by keeping a regular content marketing schedule and corresponding record book of results. You’ve got a business to run, and chances are your strengths lie in your products and/or services—not in writing content, implementing SEO, producing videos, or creating graphics. 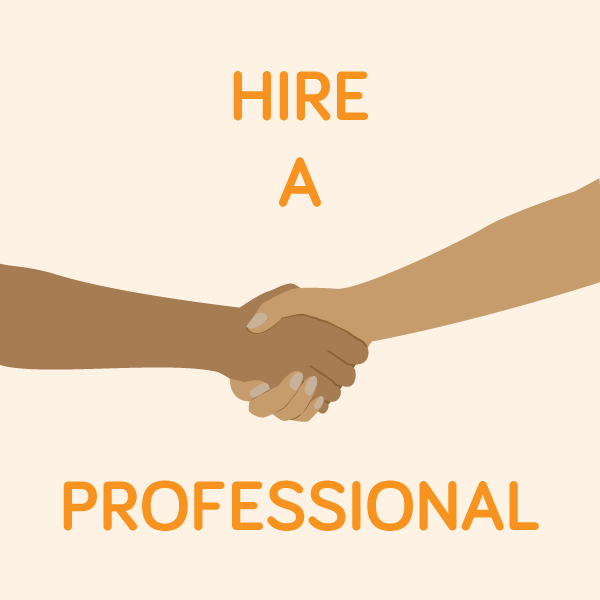 Hiring a professional to delegate this work to will ensure that your content marketing always looks great and reads well. And without high-quality, well-written, professional content, you run the risk of hurting your marketing efforts more than helping them. Small businesses today are challenged with marketing to a customer base that has the world at their fingertips. Social media, coupled with the ever-expanding scope of search engines and online content, creates a very aware and engaged consumer market: one that doesn’t take kindly to marketing “fluff” or manipulative tactics. On top of that, search engines like Google are starting to penalize sites that are outdated, over-optimized or poorly written. You may have heard the marketing phrase “content is king,” and it is. Stick to an authentic, homegrown recipe for your content marketing in 2014, and you’re bound to see delicious results!